Leni Dam graduated as a teacher of English and Mathematics in 1964. In 1973, she took her first steps towards developing learner autonomy with a group of 14-year-old mixed-ability students learning English at a comprehensive school south of Copenhagen. In the following years, language learner autonomy was developed in all her classes at primary as well as secondary level. 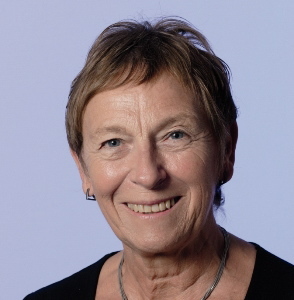 In 1979, she combined teaching at school with a job as an educational adviser and in-service teacher trainer at University College, Copenhagen till she retired in 2006. In 2004, she was awarded an honorary doctorate in pedagogy by Karlstad University, Sweden. Together with Lienhard Legenhausen, Münster University, Germany, she has studied the linguistic development of learners in autonomous classroom environments. Her areas of interest are the development of learner autonomy, differentiated teaching and learning, internal evaluation and the use of logbooks and portfolios. Within these areas, she has produced materials, written articles and books, and given numerous talks in many different countries. She is now freelance. Like my book with the same title (Dam 1995), this first plenary talk will offer some basic principles to guide the development of learner autonomy, combining theory with examples of classroom practice gathered over the years. The talk will focus especially on questions raised by teachers when they try to implement learner autonomy in their own classrooms: How to deal with big classes? How to make sure that the students use the target language when working on their own? How to assess the students? What about parents? Can learner autonomy be combined with use of a course book? Developing learner autonomy is a long and often difficult process, especially for the teacher. The aim of this workshop is to give participants tools that will help them to embark on this process in their own classes. I shall suggest various ways of getting started (i) with learners in their very first English lesson and (ii) with secondary students who have been used to a more traditional way of learning English. In smaller groups, participants will then discuss the different possibilities proposed before they individually decide on the steps they intend to take in their own teaching.